We offer wide range of shipping and removal services between any location in the United Kingdom and Germany. We have a dedicated weekly service between Germany and the UK, flexibility and a truly customer focused approach make us the most reliable relocation partner in the market. We accept any size of consignment, no job to small or too big; we also offer secure storage wherever needed in Germany or Great Britain. Please feel free to visit our dedicated www.uk-germany-removals.co.uk website for more details. 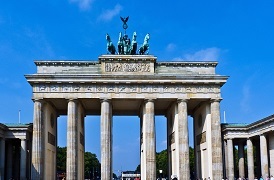 We believe moving to Germany with Bright Removals is the best option available on the market. We are family owned company offering great value for money. We appreciate every relocation order; no job is too small or too big. Wherever you move from England, Wales or Scotland to any location in Germany, North or South, East or West, we have the experience, team and skills to complete your moving task within days.